Knorr-Bremse, the world’s leading manufacturer of braking systems and additional sub-systems for rail and commercial vehicles, can look back on a record year. In fiscal 2017, the Company posted an increase in sales to a record EUR 6.24 billion (2016: EUR 5.49 bn) on the back of expansion of its systems offering and its global market position. Despite substantial extraordinary expenses (in the amount of EUR 75 m) resulting from foreign exchange effects, the bid for Haldex and the cost of conversion to IFRS, EBITDA for 2017 totaled EUR 1.06 billion (2016: EUR 1.01 bn). In line with IFRS, adjusted EBITDA (still to be audited) reached EUR 1.14 billion. Net income rose to EUR 580 million (2016: EUR 550 m). Incoming orders were 16.3% up on the previous year, outpacing consolidated sales growth to reach EUR 6.66 billion (2016: EUR 5.72 bn). Orders on the books at year-end were up 19.8% at EUR 4.98 billion (2016: EUR 4.15 bn). 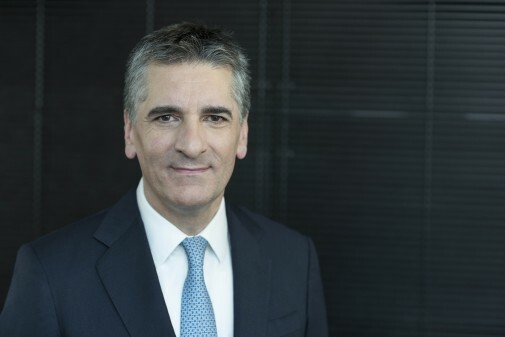 “Despite high extraordinary expenses we closed our books on 2017 with a set of record figures and will continue to pursue our path to profitable and sustainable growth,” said Klaus Deller, Chairman of the Executive Board of Knorr-Bremse AG. “Digitalization, autonomous driving, and electrification are the trends of the future that will shape the business of our two divisions over the coming decade. Thanks not least to targeted acquisitions such as Knorr-Bremse SteeringSystems for automated driving or Kiepe Electric for electrification, we are ideally positioned for these developments and together with our customers and partners we are going to actively shape the transportation of the future,” Deller added. “Since 2005, Knorr-Bremse has posted average sales growth of 7.1% and EBITDA growth of 9.7%. On top of this, the Company can boast an outstanding financial profile with which we are well equipped to face the current and future challenges of the market,” said Ralph Heuwing, Chief Financial Officer of Knorr-Bremse AG. In fiscal 2017, Knorr-Bremse continued to drive forward its strategy for profitable and sustainable growth. Through the integration of Kiepe Electric, the globally active supplier of electrical equipment for rail vehicles and buses, Knorr-Bremse added state-of-the-art drive technology for rail and commercial vehicles to its portfolio. In addition, Knorr-Bremse expanded its collaboration with Dongfeng Motor Group of China to include development of automated manual transmissions for the truck market in Asia. 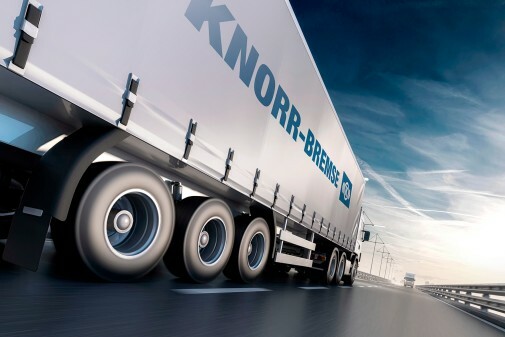 With this step, Knorr-Bremse obtained even wider access to the world’s largest commercial vehicle market. Knorr-Bremse in a position to provide the basis for complex driver assistance systems, all the way to fully autonomous vehicles. Knorr-Bremse sees great potential for growth in this sector. Knorr-Bremse further expanded its research & development (R&D) activities. Total expenditure on R&D and customer-specific development modifications rose to EUR 359 million in fiscal 2017 (2016: EUR 328 m), which equates to approximately 6% of sales. At year-end 2017, the Knorr-Bremse Group employed a total of 27,705 persons (year-end 2016: 24,565) which represents a year-on-year increase of 12.8%. The Rail Vehicle Systems division posted sales of EUR 3.33 billion (2016: EUR 2.99 bn). Adjusted for foreign exchange effects, this is the highest level of sales ever recorded by the division. The sharp rise in sales revenues reflects in particular buoyant market demand in Europe, as well as the contribution to sales of the newly acquired Kiepe Electric. At the same time, developments in North America and the Asia/Australia region were also positive. One key milestone was the order covering the braking systems for approximately 1,500 cars for the Chinese high-speed segment, some of which are also to be equipped with IFE entrance systems and/or HVAC systems from Merak. Also in China, the volume of overhaul work on vehicles with braking systems increased to more than 2,000 cars. The division reported income before taxes of EUR 543 million (2016: EUR 512 m). The Commercial Vehicle Systems division also returned record sales of EUR 2.93 billion (2016: EUR 2.52 bn). Income before taxes totaled EUR 385 million (2016: EUR 328 m). All regions contributed equally to this top-class performance. In particular, the expansion of collaboration with Dongfeng Motor Group of China to include development of the transmission control units for new generations of heavy-duty trucks will continue to have a positive impact on the development of the division. At both global and local levels, Knorr-Bremse assumes responsibility for responding to societal challenges. The Company’s commitment is based on two pillars: Knorr-Bremse Global Care e.V. and Knorr-Bremse Local Care. In 2017, both divisions of the Knorr-Bremse Group supported the independent charitable organization Knorr-Bremse Global Care. Global Care aims to support projects for people in need, both in countries where there are Knorr-Bremse sites and in developing countries around the world. In 2017, funding of two million euros reached a total of 36,310 people worldwide. Key project areas were the fields of education and WASH (water, sanitation and hygiene). For fiscal 2018, Knorr-Bremse is anticipating a continuing volatile market environment. The topics of digitalization, autonomous driving, and electrification will shape the business of both divisions over the coming decade and beyond. Against this backdrop, the Knorr-Bremse Group is aiming for a modest rise in sales to between EUR 6.4 and 6.6 billion and targeting an EBITDA margin of 17 to 19%. “In view of the foreseeable changes in our markets, we will be making above-average investments in product development in order to be even better equipped to deal with the restructuring of the entire industry and thus well placed to face the future,” commented Deller. Please credit “Knorr-Bremse AG” as the source when you publish our photos, which should be used for editorial purposes only. Please send us a specimen copy or a link to the relevant publication.